Taras Shelestyuk (16-0, 10 KOs)–Began boxing in 2000 at the age of 14. In his amateur career, Shelestyuk was a bronze medal winner at the 2010 European Championships and the 2011 world champion. Shelestyuk is also a three-time Ukrainian Champion. Shelestyuk was one of the most coveted fighters coming out of the 2012 London Olympics, taking home the bronze medal and capping off a stellar amateur career where he earned an impressive 195-15 record. When Shelestyuk decided to turn pro, he signed with manager Vadim Kornilov and has been training at the Wild Card Gym in Los Angeles under the watchful eyes of Marvin Samodio and Hall of Fame trainer Freddie Roach. Shelestyuk then signed an exclusive promotional contract with Arthur Pelullo’s Banner Promotions. Shelestyuk made his national television debut with a solid 8-round, unanimous decision over Juan Rodriguez (12-1). The bout was a co-feature on ESPN Friday Night Fights on April 3, 2015 at Omega Products International in Corona, California. Shelestyuk worked hard and showed his grit as he fought through a bad cut over his eye and was able to pound out the comfortable decision by scores of 79-73 twice and 78-74. Shelestyuk won a 10-round unanimous decision over Aslanbek Kozaev. The bout was a co-feature on a ShoBox: The New Generation card at the Downtown Las Vegas Events Center. Taras looked great as he boxed his way to a solid victory. He had Kozaev in trouble numerous times in the bout and won by scores of 100-90 twice and 99-91. In the process, Shelestyuk captured the WBO-NABO Welterweight Title. 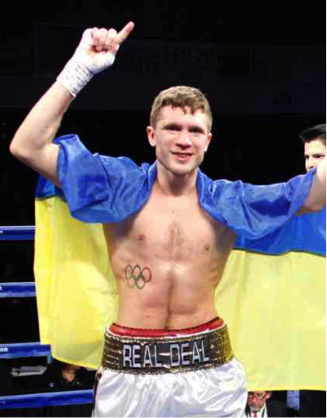 Shelestyuk won a 10-round unanimous decision over Jaime Herrera. The bout, which took place on November 4, 2016, headlined a ShoBox: The New Generation card in Corona, California. In his last bout, Shelestyuk took out Jesus Alvarez Rodriguez in three rounds on July 1, 2017 in Sacramento, California.